Put on your sunnies, grab a cocktail, and play Live Caribbean Stud Poker at Vegas Spins! It’s interactive, it’s fun, and we want YOU to win today! Head to the tables and play Live Caribbean Stud Poker at Vegas Spins! It’s the perfect combination of the Caribbean and Vegas, and it’s packed with fun and loads of chances to win! It’s a fast-paced game, which will keep you on your toes, there’s an optional 5+1 bonus bet, and payouts up to 1,000 to 1! So what do you say? 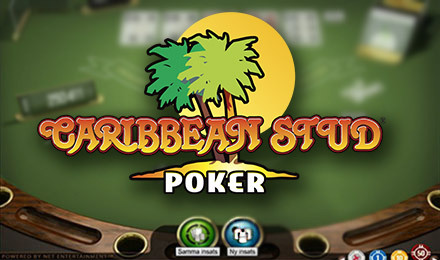 Login and play Live Caribbean Stud Poker today!